Exceptional events can help you develop much-needed skills to outshine the competition in today's online marketplaces. Digital marketers and ecommerce specialists have one question on their minds: Is Search Engine Optimization (SEO) still relevant? Recent debate around whether SEO plays an essential role in marketing efforts has prompted some SEO experts to make dire predictions. If it isn't dead now, they've said, it will be extinct in the near future. Other SEO consultants and researchers disagree. They believe search engines are evolving to focus more on quality content, social signals and user intent. Simply put, this means that marketers who produce engaging content will have better long-term odds of higher rankings. At the same time, those who rely on keyword-stuffing, low-quality content and spammy backlinks will see their rankings drop. Altogether, traditional SEO strategies such as backlinks and a well-optimized websites remain valuable tools in a marketer's kit. But to compete for top rankings, savvy professionals must integrate all the components. HTTPS (Hypertext Transfer Protocol Secure) pages are getting a boost on Google’s SERPs (Search Engine Results Pages). Fake news is receiving penalties. Google improved its search to introduce a feature called People Also Ask. Google searches on mobile devices now are tracked through a separate index. Blog Search got a new look. The Possum update drastically affected Local SEO results. With Google’s constant changes and updates, adapting to implement the best SEO practices can be quite a challenge. But it's a must for any marketer who doesn't want to incur the dreaded Google slap. SEO conferences offer an interactive way to stay current on developments in a continuously changing industry. You'll learn valuable information about what’s hot, what’s trending, what’s new and what's still relevant. Seeing (and possibly meeting) cognoscenti and gurus in person can energize you in ways that reading e-books and watching webinars never can replicate. Here are a few of the most popular SEO conferences running today. 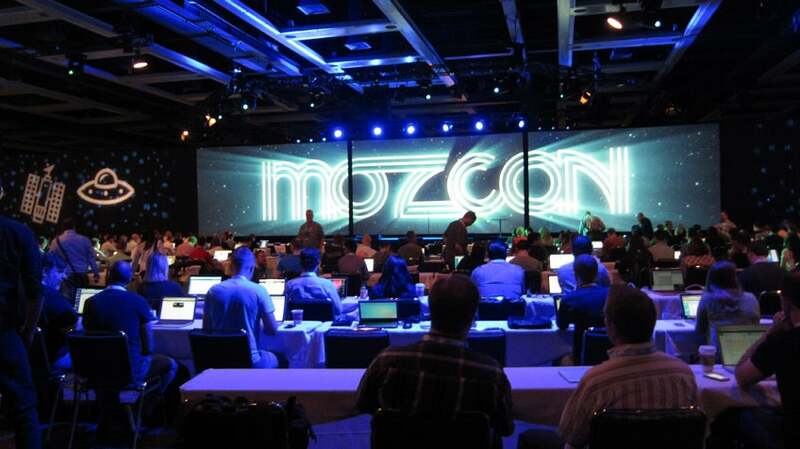 A three-day conference known for its dynamic content, idea-filled sessions, actionable tips and deep insights delivered by industry leaders, MozCon features topics beyond SEO. Additional tracks include brand development, conversion-rate optimization, the mobile landscape, analytics, customer experience, social media and content marketing. Speakers include the “Wizard of Moz” himself (Rand Fishkin), award-winning digital-marketing consultant Matthew Barby, CEO of STAT Search Analytics Rob Bucci and Google Analytics Team Advocate Krista Seiden. Founded in 2007, SMX has grown into multiple events around the world. It's programmed by some of the sharpest minds in search marketing and produced by Third Door Media. 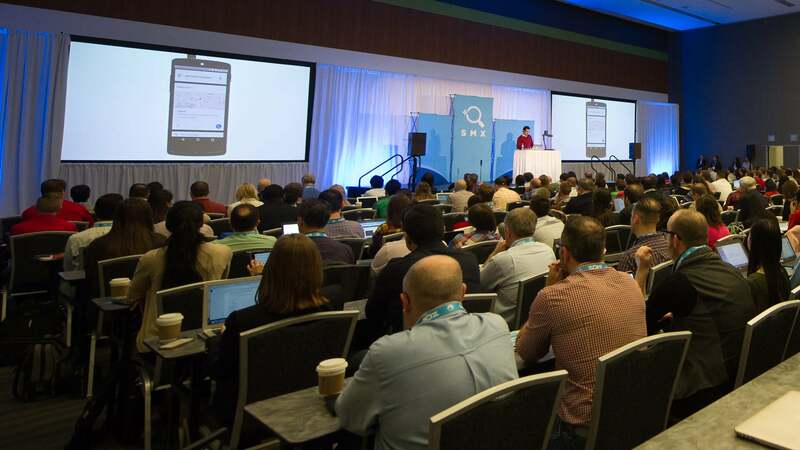 SMX helps thousands of SEO and SEM professionals and marketing practitioners fine-tune their skills through exclusive training workshops and conference sessions. Former speakers include Olga Andrienko (head of global marketing for SEMrush), martech pioneer Scott Brinker and Jerry Dischler (Google's VP for AdWord Product Management). The SEJ Summit is a one-day event focusing on original, first-run presentations that highlight topics such as link-building, on-page SEO and content strategy. The event is known for its 18-to-1 attendee-to-speaker ratio, which gives participants more opportunities to connect and interact with speakers. The Summit's unique format guarantees attendees get the most for their time -- and promises to get them back to work the next day. For maximum efficiency, speakers focus only on the important points. This helps optimize how much knowledge the attendee retains. Underground and underrated SEO conferences. Marquee SEO conferences certainly will keep you up-to-date on performing mainstream SEO, but a crop of new -- and vastly underrated -- conferences showcase unconventional methods to help attendees dominate SERPs. Speakers at these smaller, more intimate events tend to reveal some of their best SEO strategies, tactics and secrets. These SEO conferences are a sure-fire way to learn nifty tips and tricks participants can use to their advantage. Bonus: Attendees also get to meet plenty of SEO and marketing experts to add to their networks, and that can be more valuable than the conference content itself. Here are three of the best "underground" conferences few people have heard of ... until now. This innovative, dynamic conference is a panel-style, two-day event. A white-hat presenter and a black-hat presenter share their best strategies to overcome any SEO problem. They tackle topics typically not discussed in SEO conferences, and recordings are not permitted. Two more unique features: the Mastermind and Extended Q&A sessions, during which speakers will answer any question, on the spot. The event is hosted by Josh Bachynski, a 20-year SEO veteran who titled his TEDx talk "The Future of Google Search and Ethics," and video-marketing leader Holly "Greeny" Starks. 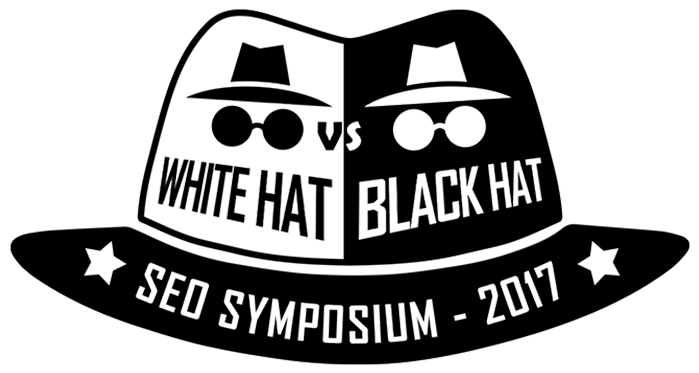 Speakers range from high-profile white-hat SEO consultants such as YouTube expert Derral Eves and Australia’s top SEO expert, Dan Petrovic, to some of the sneakiest black-hat practitioners -- among them Jedediah Hunt and Derek Booth. Attendees vote on the event's best presenter, who wins a $5,000 prize. Not a bad incentive for speakers to divulge their best SEO secrets. 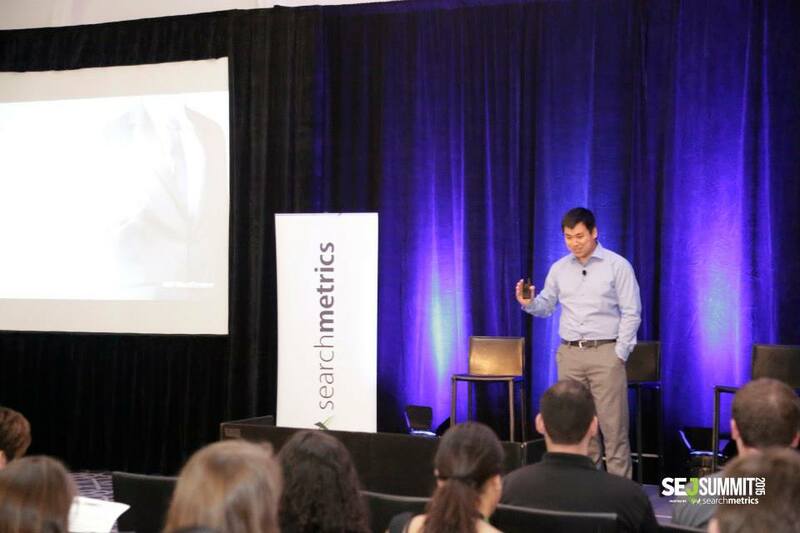 The SEO Intelligence Agency developed this two-day conference filled with activities, tips and tricks. Attendees can expect fun and scientifically tested SEO techniques. The event's tagline is meant to lure guests: “SEO keeps changing and so do our methods! We don’t tell the world our proven tests but we do tell each other.” Emcees are Dori Friend, a former Apple designer who worked on products for the Mac OS (and as part of the team behind the first digital interface for cameras) and Kyle Roof, CEO of High Voltage SEO. Past speakers include Eric Lancheres (a Google penalty recovery and traffic expert), Smart Marketer CEO Ezra Firestone and Pool Builder Lead Rocket Cofounder and CEO Geoff Frink. This year’s speakers include underground ninjas such as SEO expert consultant Bill Hartzer and fellow SEO wizards Clint Butler and Brian Hong. This three-day SEO and digital marketing conference covers intermediate to advanced internet-marketing topics. Recordings are prohibited, and speakers aren't allowed to give sales pitches or similarly fluff up their sessions. UnGagged's roster of speakers includes Biddable Moments Founder Samantha Noble, SiteTuners CEO Tim Ash, Dixon Jones, Majestic Marketing Director Dixon Jones and Chatty People Founder Murray Newlands.